2016 Newport Jazz Festival® | July 29th-31st, 2016 - TheUrbanMusicScene.com | Concerts & Festivals! 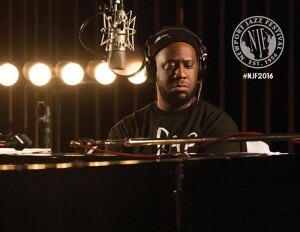 Tickets go on sale Thursday, January 21, at 10:00 am at www.newportjazzfest.org. The 2016 edition of America’s first annual jazz fest will feature 22-time Grammy-winning jazz composer Chick Corea, celebrating his 75th birthday at both the Tennis Hall of Fame and Fort Adams. Also doing double duty are Grammy-winning vocalist Gregory Porter and saxophonist Kamasi Washington, in his festival debut. Others making their debut appearances are the New Orleans’ seminal funk band Galactic, vocalist Tierney Sutton, the brass quartet The Westerlies, The Hot Sardines; the supergroup Potter, Holland, Loueke & Harland; and pianists Rossano Sportiello, Kris Davis and Terry Waldo. 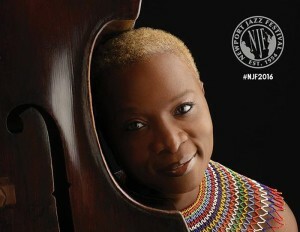 Among the more than 50 musicians/bands appearing are Angélique Kidjo; John Scofield/Joe Lovano Quartet; Darcy James Argue’s Secret Society; Charles Lloyd New Quartet; Robert Glasper Experiment; Django Festival All Stars; Kenny Barron Trio; Yosvany Terry Quintet; Toshiko Akiyoshi; Steve Coleman and Five Elements; Christian Scott aTunde Adjuah Presents Stretch Music; José James; Kneebody and many others. Leading new ensembles or presenting new projects are Eric Revis Parallax; The Bad Plus performs Ornette Coleman’s landmark 1972 album Science Fiction; Monty Alexander Harlem-Kingston Express; Edmar Castañeda World Ensemble; Butler, Bernstein & The Hot 9; Stefon Harris Sonic Creed; Dave Liebman Expansions Group and Anat Cohen’s Clarinet Re-Imagined. Along with jazz superstars and Grammy winners galore, emerging artists will also have the chance to participate at the festival, particularly on Friday at Fort Adams. New compositions funded with support from the George Wein/Doris Duke Artistic Programming Fund will be presented by Peter Apfelbaum’s Sparkler, Tyshawn Sorey & Alloy, Sullivan Fortner Quartet and Ben Williams & Sound Effect. Students from around New England will be well represented with appearances by the URI Big Band, various Berklee College of Music bands and the all-state bands from Massachusetts and Rhode Island. 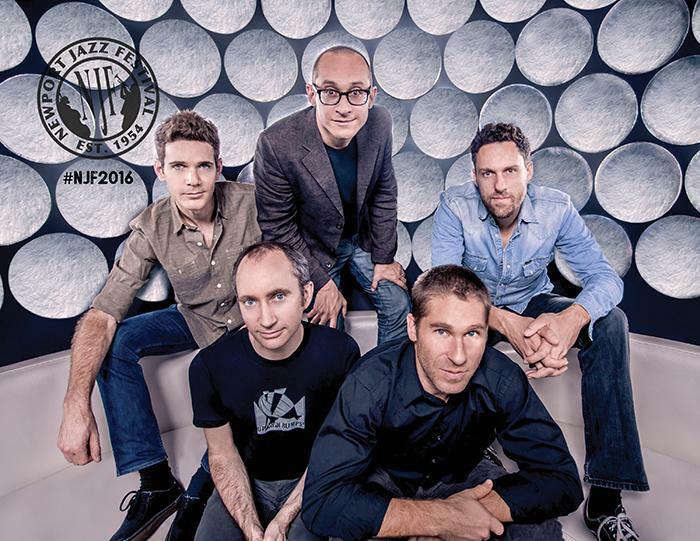 In addition, the festival welcomes a recipient of The ASCAP Foundation Herb Alpert Young Jazz Composer Awards. Newport Festivals Foundation will again host THE Jazz Club, a special experience offered on Saturday and Sunday at Fort Adams. The option includes special seating, reserved parking, tented lounge access, upgraded restroom facilities and a Festival poster. Tickets for the 2016 Newport Jazz Festival presented by Natixis Global Asset Management go on sale worldwide Thursday, January 21, at 10:00 am. Details at www.newportjazzfest.org. Service charges apply to all tickets purchased on-line or by phone. For information regarding pre-sales and special offers subscribe to the newsletter on the festival web site or follow us on social media. General Admission tickets for the Friday, July 29, daytime event at Fort Adams are $45.00 for adults and $20.00 for high school students older than 15 and college students with valid ID. Students must use the Student gate and present valid ID to enter the festival. Offer valid for eligible students while supplies last. Children’s tickets are $15.00 for children aged 3 – 15. Flex tickets, which are good any day at Fort Adams events, are still available for a limited time on-line and at the Newport Visitor’s Center. Offer ends January 21 at 10:00 am. Single-day General Admission tickets (no chairs provided) for Saturday and Sunday events at Fort Adams are $60.00 now until January 31, but will be $79.00 per day beginning February 1. These tickets will be $89.00 at the gate, if available. Two-day passes (for Saturday and Sunday) are $120.00 now and will be $145.00 on Feb 1. A limited number of Three-Day passes (for Friday – Sunday events at Fort Adams) are available now for $155.00. Student tickets are $20.00 per day for high school students older than 15 and college students with valid ID. Students must use the Student gate and present valid ID to enter the festival. Offer valid for eligible students while supplies last. Children’s tickets are $15.00 for children aged 3 – 15. Reserved Seating is available for the Saturday and Sunday events at Fort Adams. Tickets for the Center Reserved Section are $125.00 per day. Regular reserved seating is $95.00. Tickets for THE Jazz Club, a premium experience offered on Saturday and Sunday, are $375.00 per day. For more details, visit www.newportjazzfest.org. General admission tickets for all Fort Adams events can also be purchased in person at the Newport Visitors Information Center, located at 23 America’s Cup Avenue. Log on to www.discovernewport.org for office hours and information. No service charges apply. Flex tickets, which are good any day at Fort Adams events, are still available for a limited time on-line and at the Newport Visitor’s Center. Parking passes are also available on-line. Advance prices range from $12.00 – $15.00. Service charges apply to all tickets purchased on-line or by phone. Tickets for the Friday, July 29, 8:00 pm concert at the International Tennis Hall of Fame at the Newport Casino are still available. Prices range from $45.00 – $100.00. All seats reserved. There is no child or student pricing for the evening event. The Opening Night Cocktail Party, a Newport summer tradition, kicks off the evening from 6:30 pm. Tickets are $75.00. Price includes open bar and hors d’oeuvres. Party attendees must have a ticket to the Newport Jazz Festival concert. Tickets are available at www.newportjazzfest.org. Tickets can be purchased in person at a later date at the Festival office located at 770 Aquidneck Avenue in Middletown. Newport Jazz Festival’s official travel partner, WBGO Jazz 88.3 FM is offering an exclusive Weekend Package for festival fans. For music lovers who want to visit the Newport Jazz Festival for one day, WBGO Travel is offering Day Trips on luxury buses, which will depart from Manhattan, Brooklyn, Newark, NJ and Boston, MA. Information for specific bus locations will be confirmed soon. For tickets and more information, log on to www.WBGO.org/events. Natixis Global Asset Management (Better Thinking for Modern Markets®) is the Presenting Sponsor of the 2016 Newport Jazz Festival and sponsors programs that help enrich the lives of individuals and preserve the cultural experience for future generations through music. The stage at the Friday night concert at the International Tennis Hall of Fame is sponsored by Alex and Ani, LLC, which offers eco-friendly, positive energy products that adorn the body, enlighten the mind, and empower the spirit, designed by Carolyn Rafaelian and made in America. Additional support comes from Doris Duke Charitable Foundation, Ed Bradley Family Foundation, North Coast Brewing Co., NPR Music, WBGO Jazz 88.3FM and Ticketmaster. The Preferred Hotels of the Festival are Hotel Viking, Marriott Newport and The Newport Harbor Hotel and Marina and Hyatt Regency. Media supporters are DownBeat and JazzTimes magazines. Newport Festivals Foundation was founded by George Wein in 2010 to build and continue the legacies of the famed Newport Jazz Festival® and Newport Folk Festival®. Under the auspices of the Foundation, the Newport Jazz Festival presents performers who respect and honor jazz music traditions, and at the same time reflect the changes in today’s musical trends. In addition, the Foundation presents programs to educate young people about jazz and folk music as presented at the annual festivals. For more information, please visit www.newportfestivalsfoundation.org. For general information, craft vendor information or to leave a message for festival staff, call the festival hotline at (401) 848-5055. One Response to "2016 Newport Jazz Festival® | July 29th-31st, 2016"